To better understand how the Houzz Search algorithm works, we looked at thousands of data points from hundreds of profiles fetched from a wide array of Houzz search results pages — primarily focusing on architecture professionals. For those interested in Houzz SEO, and ranking higher on Houzz, the results should provide ample insights into the more nuanced behavior of its ranking algorithm. While I’ll go through the essential “ranking factors” and high-level correlations, there’s also some interesting data comparisons once we look into the detail. While I’m hesitant to speak of the algorithm through the lens of correlations, because they can be very misleading, they do provide a high-level starting point for exploring the ranking algorithm. 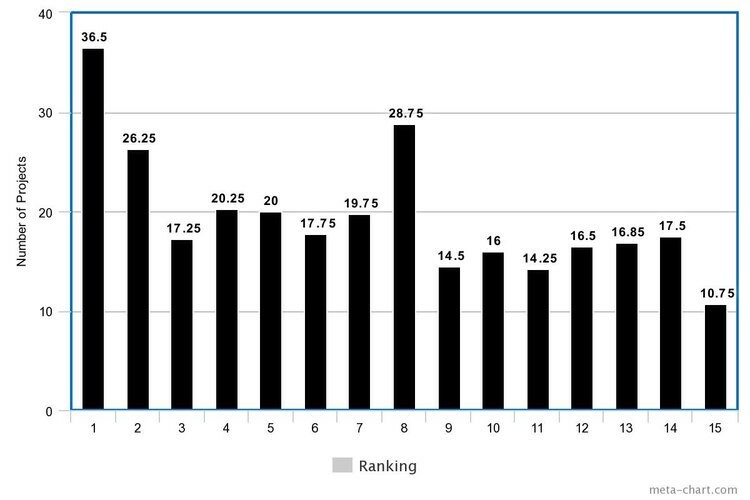 All of these factors have fairly low correlation scores (which is typical of search engine ranking factor studies), so it’s best to compare the factors relatively. Remember here that correlation doesn’t imply causation, it’s more of a descriptor of what profiles at different rank positions have in common. The last factor was nearly zero. For the rest of this post, I’ll review each of the factors we analyzed in depth, provide analysis, and share some takeaways and action items based on the learnings. The leading factor for rising up the ranks in Houzz search, from our research, was the number of projects, with the total number of photos not far behind. We aren’t surprised that this is a leading factor, since it’s the primary form of content circulating on the Houzz platform — and it’s not uncommon for certain project photos to go viral with hundreds or thousands of image “saves”. Trying to rank on Houzz without projects would be like optimising an Instagram account without any posts. Having more quality content, and more variety, means more overall reach and engagement on your profile as each image picks up saves and views. We’ve noticed, as a general trend, a lot of variability in the engagement achieved within individual projects. A single project will often include a majority of images with just a handful of engagement, and one or two key images will have 100x outperformance. Without knowing anything else about the platform, this indicates that the majority of project photo impressions aren’t happening within the project galleries of each profile, but elsewhere on the platform. In particular, the photo search result pages. On any social media platform where an algorithm is at play in deciding the reach potential of any individual piece of content (Facebook, Instagram) — content creators are incentivised to post as wider variety of content as they can, as often as they can. The same appears to be the case for Houzz, and we’ll touch on later in the article. 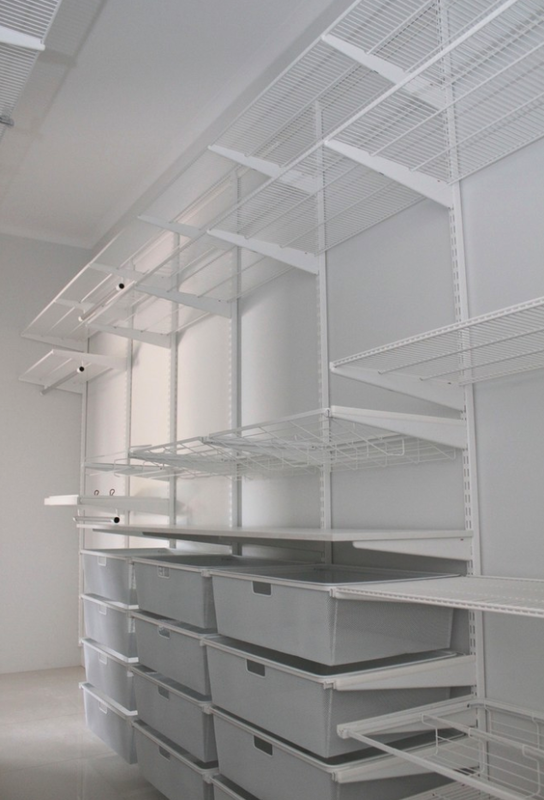 So how many projects does your Houzz profile need to have? 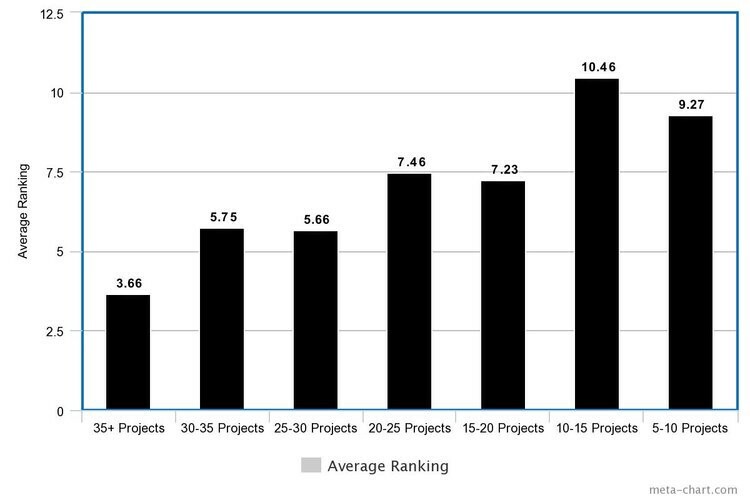 This chart gives you a sense of the average rank achieved by an account based on the number of projects uploaded (lower average ranking is better). The ideal number of projects seems to sit around 25+ for the sample we looked at. However, it will be good news for newly established firms to find out that you can typically rank on the first page for competitive metro area searches with as few as 5 or so projects. 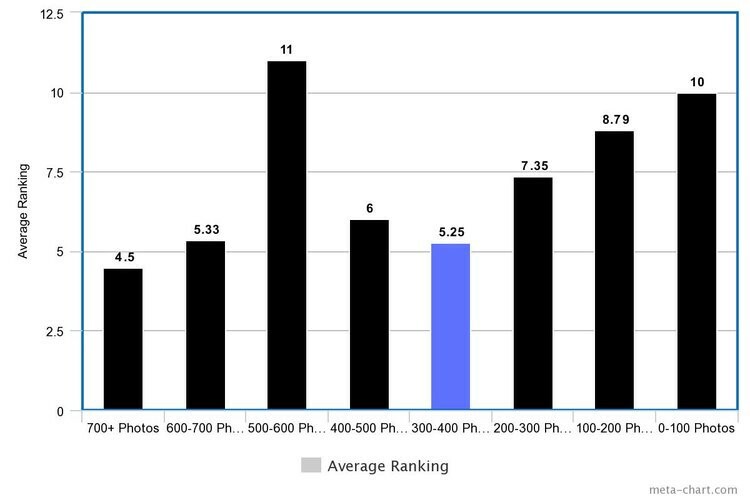 While increasing total photos does correlate with an improved average rank, there are significant diminishing returns beyond 300–400 total photos. In our study, 23% of first page ranking profiles had more than 300 total photos. Upload every project you have available. We came across many high-ranking accounts who regularly upload mediocre, or unfinished work, without suffering any noticeable penalty for having a low engagement ratio. We aren’t advocating for bad content, but unlike other platforms, it does appear that you’re a little safer giving marginal content a chance on Houzz than you might be on Instagram, for example. Flesh out project descriptions, but most importantly, individual image descriptions and keywords. High ranking profiles generally invested the effort into the presentation and searchability of their individual images. As we mentioned, Houzz virality is centered on individual images, rather than projects. We found no correlation between the average images per project for each profile and their search ranking, so there’s no hard and fast rule here. As you can tell from the overall ranking factors at the top of this article, the number of awards and badges awarded to a profile are both equally correlated with ranking position. 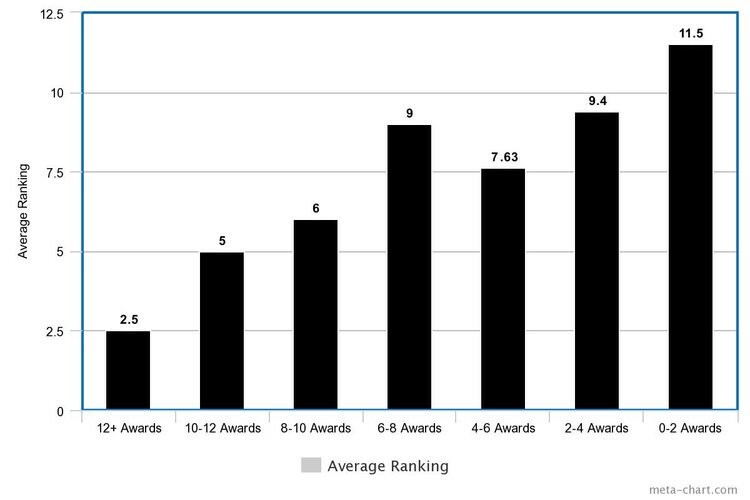 However, in aggregate, the total number of awards and badges given is highly correlated with ranking position. As mentioned earlier, it is likely that these badges are downstream of high search ranking (more popular, more engagement, more badges) — especially since a number of these “achievements” are for virality, popularity and review performance. All things that flow from content. That said, nothing is stopping you from growth-hacking these awards in a targeted way, once you have a better understanding of how they are awarded. While attaining them won’t necessarily increase your ranking position, they will almost certainly have an impact on your Houzz profile conversion rate. In addition, you will also receive a pretty unbelievable amount of PR on Houzz’s part for your efforts, which will improve overall profiles visits. So how can you improve your Houzz awards? Houzz have mentioned that 3–4% of Houzz professionals win an award each year. There are two that are available — Design and Service, and both have peculiar criteria that make winning them easier than it seems at first glance. This award showcases a handful of the most saved photos by category, and metro area. In the most recent Houzz Awards, there were 28 categories. In the Australian competition, there were 16 metro areas. That’s 448 awards up for grabs. But, they only picked winners in 118 categories, leaving 330 open opportunities for anyone to take. In our opinion, the Houzz awards are grossly under-entered. Let’s have a look at the 2018 winners, and see if we can find some gaps that you can take of advantage of. In the majority of Design Award categories, there are metro areas that did not enter an image, so an award wasn’t given. Some of these include Hall, Home Theatre, Granny Flat or Shed, Balcony, Laundry Room and so on. Why aren’t these categories full of candidates? If I had to guess, it would be the tendency to have photographers favour more popular domestic spaces such as exteriors, living rooms and kitchens — where most of a designer’s effort has been spent, but where there is also heaps of competition. Many designers might not even think to upload pictures of wardrobes, hallways, wine cellars and sheds. Going forward, ensure that you take photos in these categories, even if the space hasn’t been given much design attention. Here is a winning photo from 2018. Would you expect that image to win it’s designer a Design Award? Probably not. What might be more surprising is that it has been saved 2,100 times. The reason it has been so popular is that thousands of Houzz’s users are using the platform to bookmark home improvement inspiration — which for the weekend DIY’er, usually means these smaller projects that they can tackle on on their own. That includes improving the functionality, organisation and decoration of their secondary rooms and spaces. The takeaway here is that you should upload a comprehensive variety of images for each project, and ensure that you correctly tag your images in the categories that Houzz recognises in their awards program. You have a much better chance of winning a Design award by increasing the variety of images that you upload, and covering the project comprehensively. Since the Houzz awards are given to the single most saved photo in each category and city, then you should focus your attention on making your best performing images perform better — rather than spreading your promotional efforts across your entire portfolio. Share the Houzz image on Facebook, Twitter and Pinterest. Always make sure you’re linking back to the Houzz link so that people can save it to their ideabooks. Boost your shared link to people who like Houzz Australia on Facebook. Create a roundup Ideabook featuring the best X examples from your category — just ensure that none of the other images are also competing in your metro area. Aim to time the above actions as closely together as possible, since the default photo search result for Houzz users is “Popular Today”. Increasing the intensity of saves and impressions in a shorter time span will improve virality on this popular search filter. Must have at least one review for a client for a project completed in the past year. Houzz’s communication on how many reviews are required to win this award, beyond the minimum of one for consideration, are understandably vague. However, you can look at examples in your own category to figure out what’s typically required. Here are a two examples from the Australian Architecture pro category. My Architect is ranked #1 for Architects in Melbourne, having won four client satisfaction awards, win the following number of client reviews in each year. CplusC Architectural Workshop is ranked #1 for Architects in Sydney, having won three client satisfaction awards, win the following number of client reviews in each year. As a general trend, you should be able to win a Houzz Service award in every consecutive year by soliciting one to two 5 star client reviews each year. 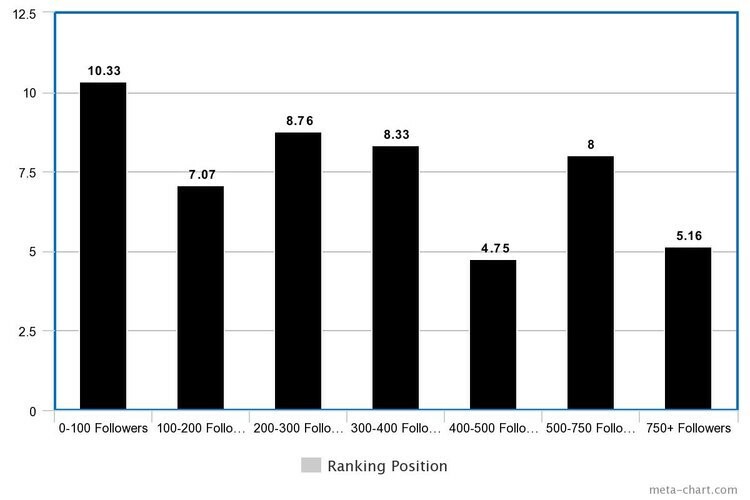 It won’t come as surprise that higher ranking profiles tend to have more followers. However, a clear pattern emerged when we compared the number of projects uploaded with followers. Profiles tended to have higher followers as they upload more projects until the optimum number of projects at 15–20, then we’ve observed a steady decline beyond that point. Earlier on, we suggested that uploading larger numbers of projects and images, perhaps reducing overall quality and engagement, did not appear to have a direct negative impact on search position in Pro Search. If it did, we would see a graph similar to the one above for average search position. Instead, we see what looks like lower Photo Search impressions. That’s feels a lot more like Instagram’s algorithm, where low engagement accounts get lower image share in the Instagram feed. If we had to speculate on what is going on here, it could be that Houzz profiles may be penalised in individual photo search results for having lower overall engagement on their images. It’s possible that your photos will struggle to turn up in photo searches if your overall engagement rate is lower than firms who upload fewer. 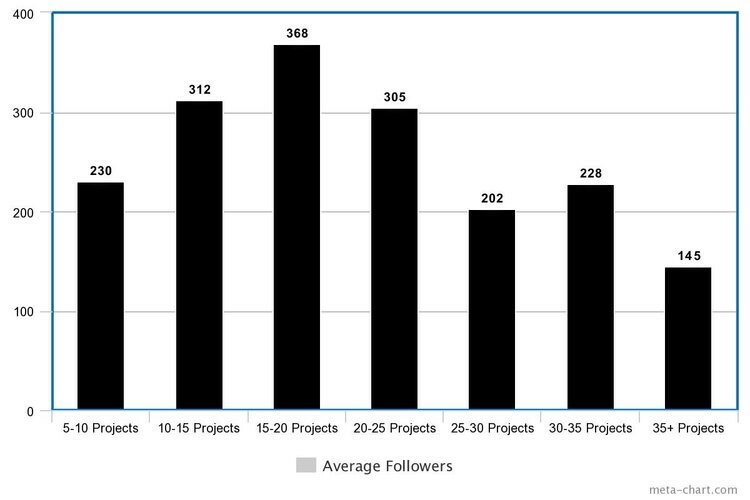 If any reader has an idea for why firms with more projects would have fewer followers, on average, let us know. While uploading more projects is highly correlated with an improved position in Pro search results, it is also correlated with lower numbers of followers, which implies lower ranking in photo search (a very important place for profile discovery). We’ve noticed that a lot of profiles are enlarging their profile text in an attempt to rank higher. However, while weakly correlated, we found a negative impact of longer profile descriptions on a profile’s position in professional search results. 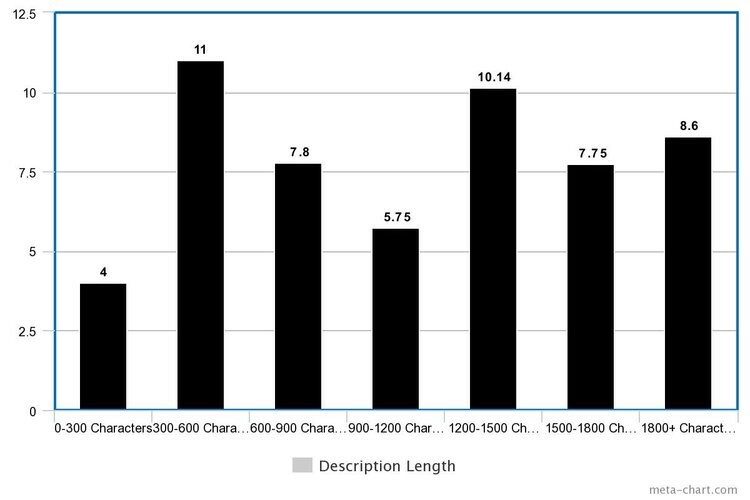 Firms with 300 or less character in their profile description averaged a 4th rank position, and firms with length 1800+ character descriptions averaged 8.6 position. In the past, many firms have suggested to us that they believe the number of reviews gathered plays a pivotal role in a profile’s ranking position. 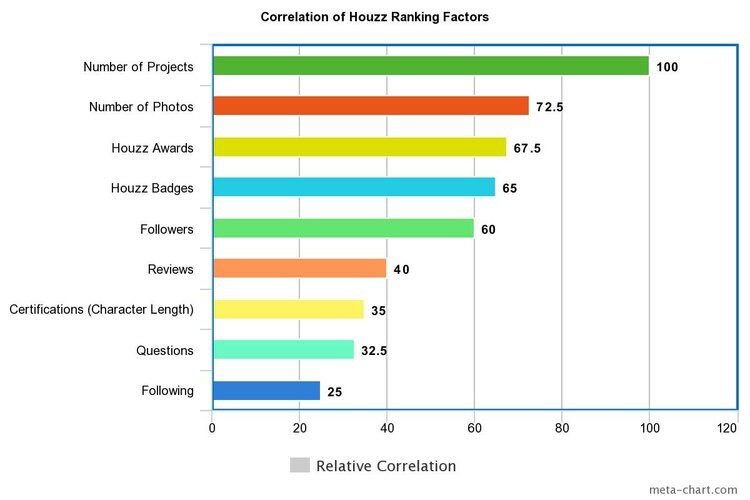 We have found that while there is a correlation, it is slim, and shouldn’t be the primary focus of your Houzz SEO efforts beyond a point. 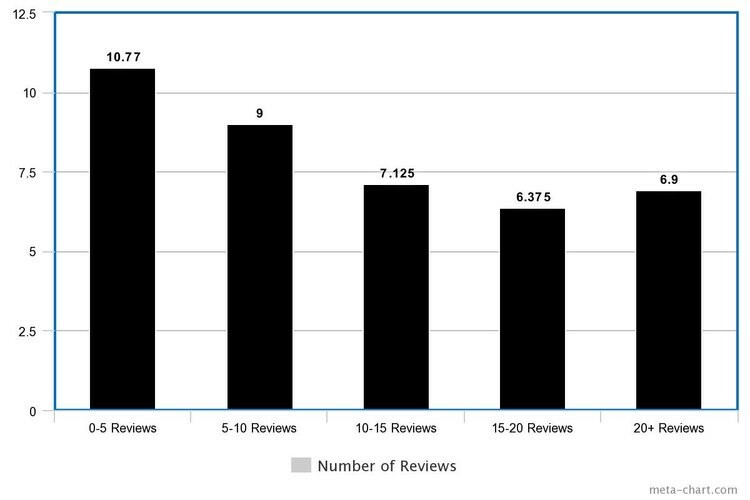 A high number of reviews is no guarantee of high search performance. 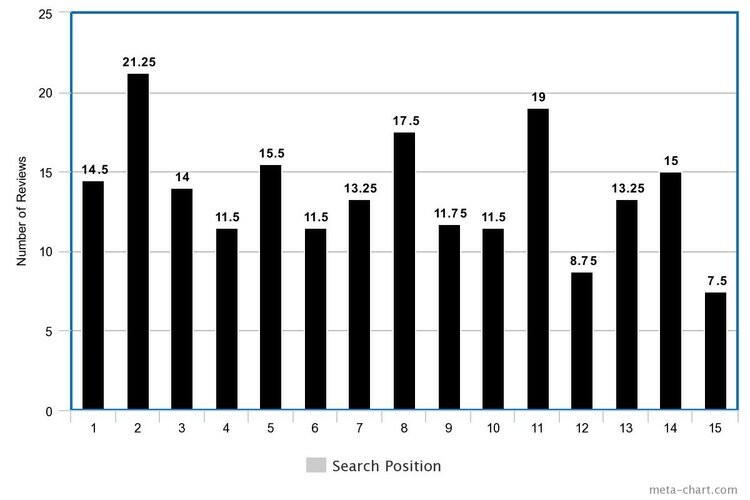 That said, firms with 15–20 reviews have the best search ranking, on average. The good news for newly established firms is that firms with 3 reviews made it into the first search results page for a number of search terms. 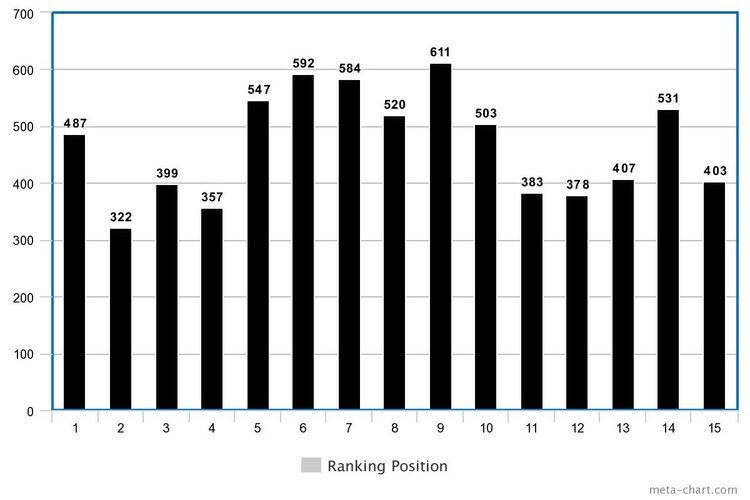 Another popular trick to improve rankings is to add a large number of locations and services. Again, we found that doing this will have no effect at best, and at worst, is more likely to damage your position than improve it. 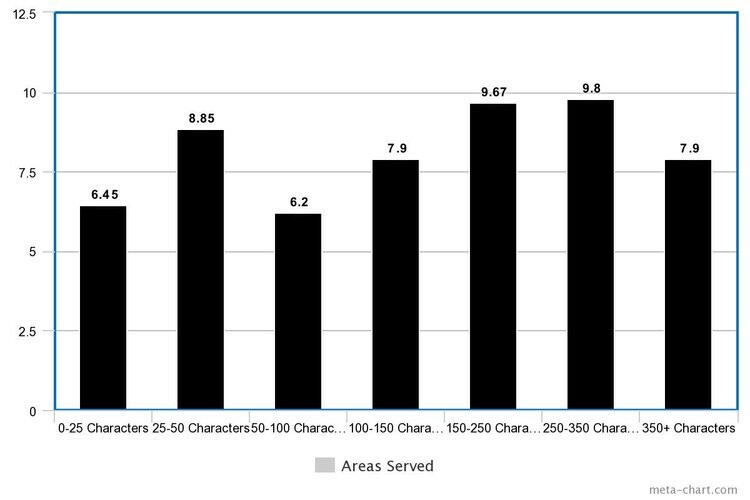 The ideal number of areas served tends to be around 50–100 characters. However, we found that profiles who had single-word areas served, that were basically the top-level metro area for their region, did the best with an average ranking position of 6. While less likely to negatively affect your ranking, it is clear that offering more services will not impact your ranking position for metro area Houzz searches. It will, however, improve your inbound leads via the “Get Quotes on These Services” feature — which allows Houzz users to send their details to Houzz professionals who match their service needs according to your profile offerings — so feel free to experiment with any length in this section. The core components of Houzz’s search engine follow many of the basic models you’ll be familiar with on other social media platforms and directories. However, Houzz’s algorithm pays close attention to audience behavior, which is not only mostly invisible to us, but significantly harder to influence by making subtle changes to your profile. After the initial optimisations mentioned in this article, Houzz SEO becomes about the “inspo” experience, requiring profile owners to return their attention to the potential virality and usefulness of their projects and images. Lessons from Pinterest and Tumblr become essential as we think about ways that the general public can use our images as a moodboard for their own projects, even if they don’t involve us as designers.